Chewing is a natural part of life for any dog. It helps to keep their teeth healthy, and is a way for them to play and explore. Some dogs also chew when they are particularly anxious or lonely. 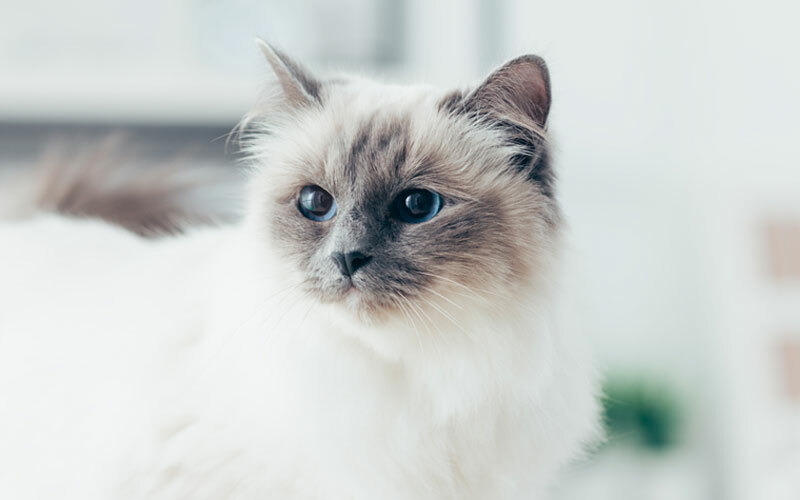 However natural it is, there is no escaping the frustration that accompanies returning home from work to find your favourite slippers, remote control or some other household object chewed beyond all recognition. Some breeds of dogs are more aggressive than others when it comes to getting their teeth into things, and even specially designed chew toys can be turned to rubber mulch in just a few days. 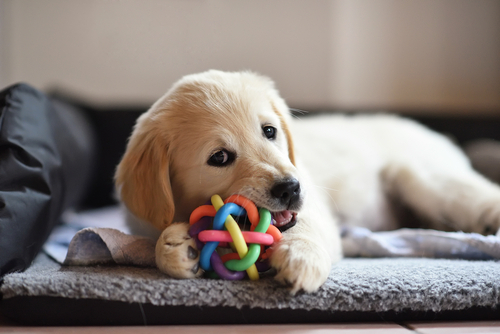 To save you from spending heaps on toys that just won’t stand up to your dog’s teeth, we have put together this list of the best virtually indestructible dog toys for aggressive chewers. ball floats even when it has a puncture, so is perfect for water-based fun. Check out their website to find your nearest local stockist. The Goughnut ring is an extremely strong rubber chew toy that was designed with safety in mind by means of a ‘chew toy safety indicator’. The concept behind the Goughnut is that when your dog chews through to the inner red layer, the toy should be and will be replaced under the Goughnuts guarantee. There are three sizes of ring available, starting at 3.75 inches and going up to 6.25 inches’ diameter. There are no weak points and despite its durability, it even floats! Find out more about the Goughnut by visiting their website. Kong are well known international dog chew manufacturers and their Extreme range is absolutely ideal for the aggressive chewer in your life! 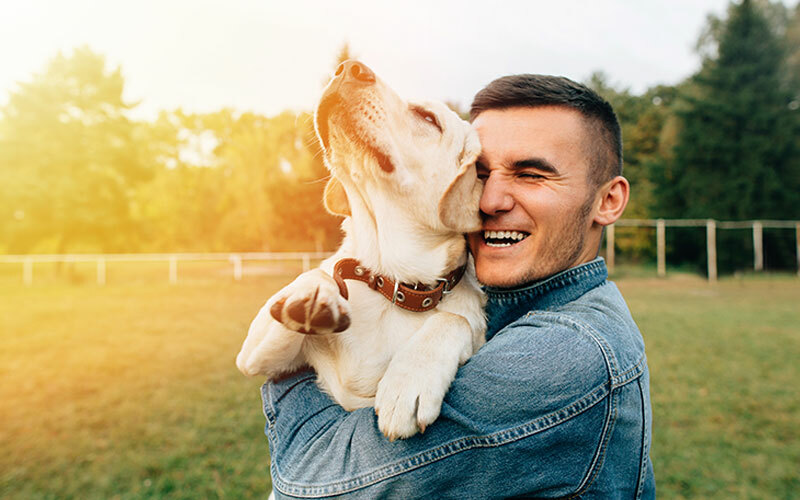 There are a number of different products in the range, but all are made from super-durable rubber and are recommended worldwide by veterinarians and dog trainers. The different designs bounce, stretch and roll, and some can even be stuffed with your dog’s favourite treat! Check out the full selection on their website and find the perfect virtually indestructible chew toy for your canine companion. If your dog likes to get his teeth into something tasty than a Benebone Wishbone may be the perfect chew toy for him. Made from super-strong and durable nylon, the regular Wishbone and Wishbone mini is available in three flavours – bacon, peanut butter and rotisserie chicken – and has absolutely no chemicals or artificial flavors. There is also a jumbo Wishbone and Dental Chew, and these are available in bacon flavour only. Visit their website to find out more about the product range and find your nearest stockist. Is it a stick? Is it a bone? Is it a ball? 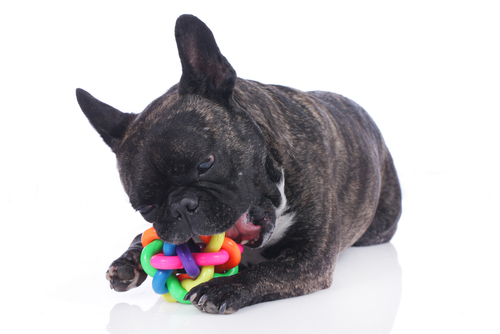 A highly versatile dog toy, the Zogoflex® Hurley is all three and a U.S. bestseller. It is so lightweight that it floats, and yet is so tough that West Pae claim that it should last a lifetime – and if it doesn’t they will give you a free one-time replacement! Available in a variety of sizes and colors, the Hurley is BPA-free, phthalate-free and non-toxic, and you can even pop it in the dishwasher. To find out more about the Zogoflex® Hurley and its suitability for your cheeky chewer, pop on over and visit their website.